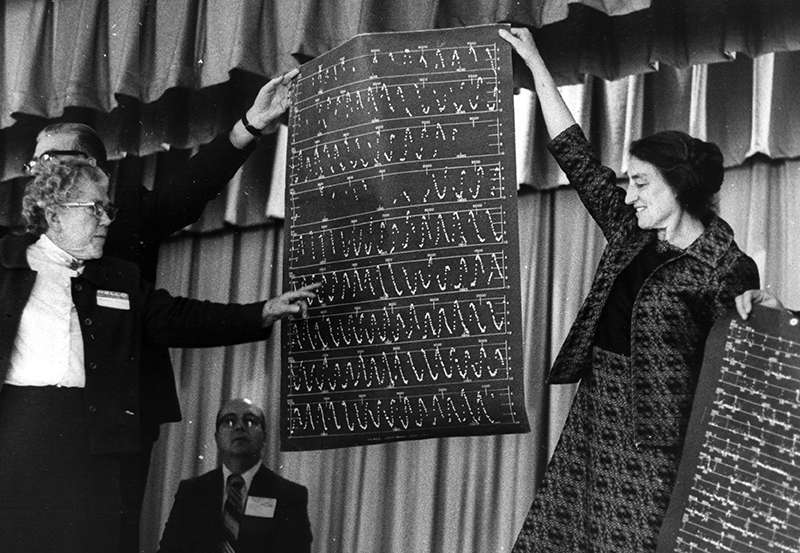 Dorrit Hoffleit holds a star chart at the Variable Star Conference in Stamford, Connecticut, 1973. To her right is American Association of Variable Star Observers Secretary Clinton B. Ford. Variable stars are those that change their brightness over time when observed by astronomers.